Will there be a possibility to make TOHs or edge-docked accessories for the jolla tablet? If not currently planned, please consider implementing it! I suggest something that docks to the edge. Thus making both traditional docks possible and other things that are meant to be carried on the tablet itself. Let's keep the TOH-trend going! This is exactly what I want! With this tablet I can hone my programming skills and use the tablet for various applications. I think about thermometers, 'internet of things' at home &c.
Magnets, yes. These kind of plugs are already available. Something like this is perfect, can accept a 'proper' manufactured connector, but also pogo pins for developer use. Power is essential, plus usb data would be ideal. I'd also like to see some thought for mechanical mounting 'hard points', even just a couple of indents in the case at mechanically strong points for positioning in a mobile mount. GPIO on the side would be a killer feature: makers, hackers could easily develop all kinds of Tablet TOHs. If its done, we (our fablab and who wants to help) could imagine a "Developper" TOH. Something inspired by Raspberry and Arduino projects. Good Idea, my opinion would be to add a magnetic connector on the back of the device, so that third party can build case with extra battery in it for example. Agreed, anything to make the device last longer than a year or two, which is just sad in this world full of electronic waste. I wish there was an electronic company with the slogan "built to last". Yes, perhaps some dedicated battery terminals that won't interfere with the edge connector :) Why sacrifice expandability for extra battery life if you don't have to? 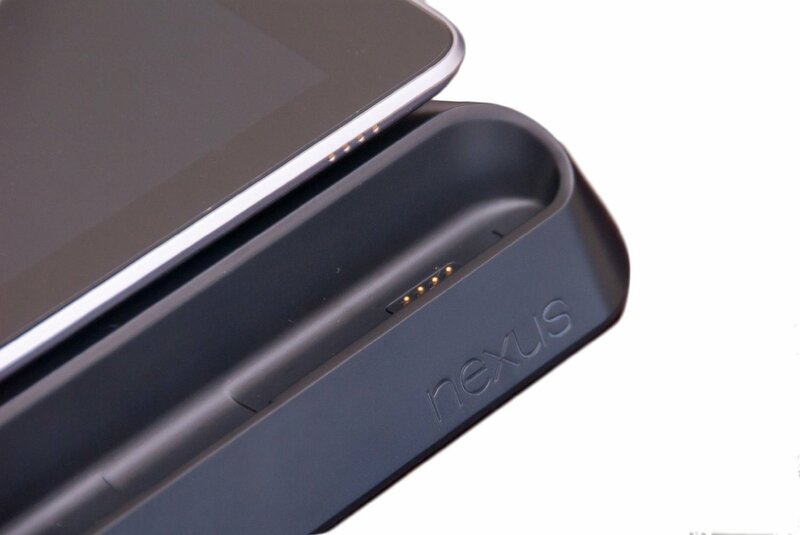 I would like as well to see some kind of side-connector that would allow 3rd parties and community to expand the tablet with accessories. While I see magnetic connectors are popular, I'd prefer some mechanical system (hooks, clips), as it would allow to support a relatively heavy add-on. It would need to be a lot more stylish but still a great idea. would like to have a waterproof case for the tablet. The case could also be modular. So one could install whatever is deemed necessary into the case and use it in the real world and still have a nice slim tablet at home.